Clean and de-beard your mussels under cold water. Discard any that are open or have broken shells. If you bought wild mussels, soak them in cold fresh water for 20 minutes before cooking. In a large soup pot, heat up the olive oil on medium-low heat. Saute the onions, garlic, ginger and tomato paste, stirring regularly so that the garlic does not burn. Add the coconut milk, vermouth, and water. Add in a few slices of your hot pepper (I used 4 thin slices of a jalapeno, but if you want it really hot, add more. If you use dried pepper flakes, start with just a pinch). Add a pinch of salt and the same of freshly ground pepper. Simmer for 15 minutes so that the flavors blend. Add a bit more water if it starts to thicken too much. Taste for salt and pepper, but leave it just slightly under-salted. 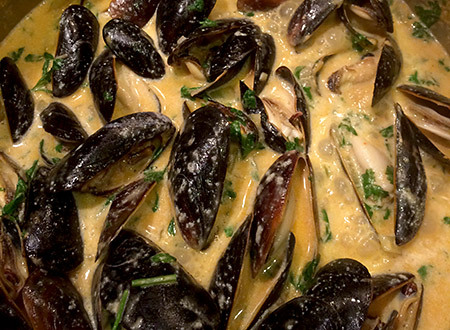 Stir in the mussels and cilantro, cover and simmer until all the mussels are open. Serve in a bowl with lots of the broth and good bread on the side. p.s. fun tip for eating mussels: use an empty shell as your utensil to pinch the meat out of the other shells. 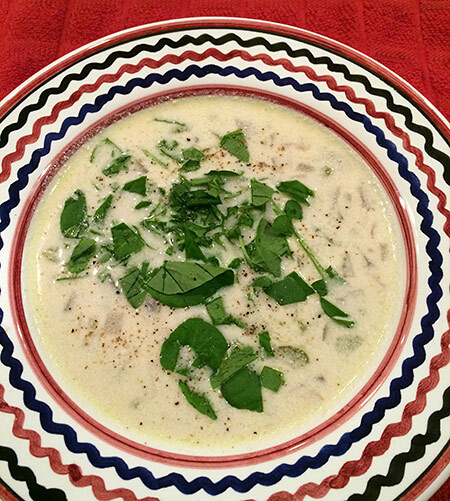 This is a riff off of my grandmother’s oyster stew recipe, which I’ve adapted for clams and lightened up a bit. Lisl loved it. 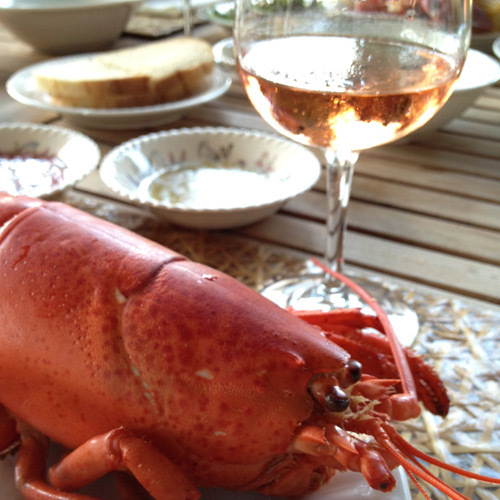 Great with a crisp white wine. Rinse the clams. Heat up a soup pot, place the clams in the pot on a high flame, and pour in a bit of white wine to create steam. 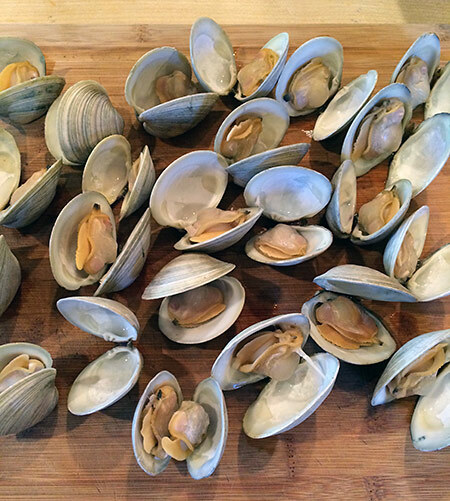 Cover and cook for a few minutes — just long enough for the clams to open. If most are open, turn off the heat and keep covered for another minute or so for the rest to fully open. Remove the clams from their shells and chop up. Save the brine-y liquid from the soup pot and put to the side. Rinse the soup pot. Put back on the stove on medium-low heat. Melt the butter and add the diced onion and minced garlic, stirring to make sure they do not brown. 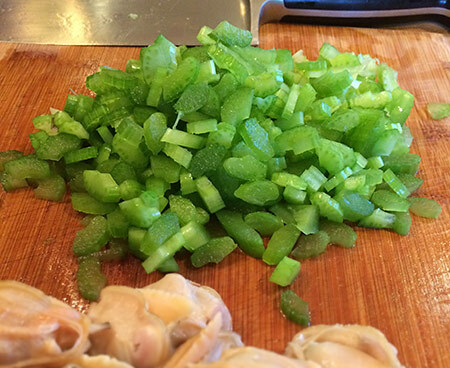 When the onion is translucent, add the celery and cook until the celery softens. Add the cream, milk, a cup of wine, half a cup of the reserve liquid from steaming the clams, and a cup of water. Add the clams. Turn the heat down to low and simmer very lightly so that the cream does not curdle. Add 4 drops of worcestershire sauce (or to taste) and a pinch of fresh pepper. After 15 minutes, taste. If you want more of that briney flavor from the clams, add more of the reserve steaming liquid (I ended up using about 1 1/2 cups). Serve with a bunch of the chopped watercress, and a nice baguette. 3. add salt to taste, but the beans will want a fair amount of salt. If you are using fine table salt, start with about 1/4 tsp, and add to taste. If kosher salt, start with about double that. 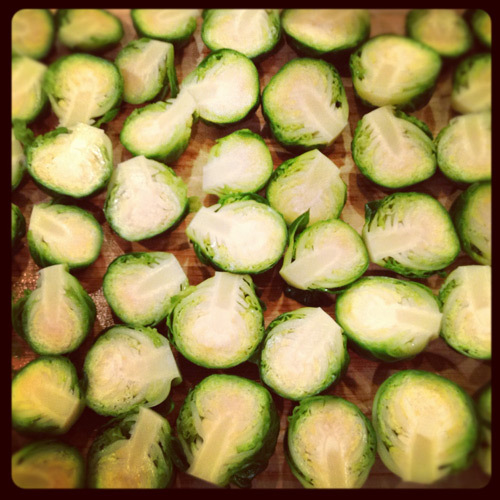 Ah to be on vacation and have time to food blog again! I tend to eat a lot of salad for lunch in the summer time. 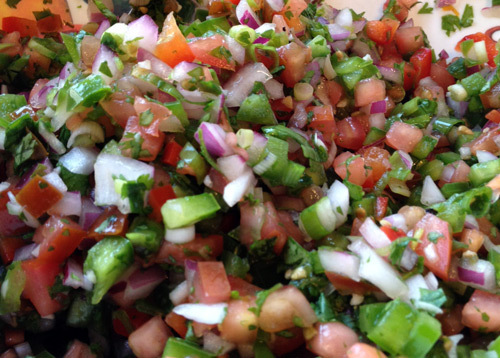 I love tabouli but on its own, tabouli would leave me hungry. 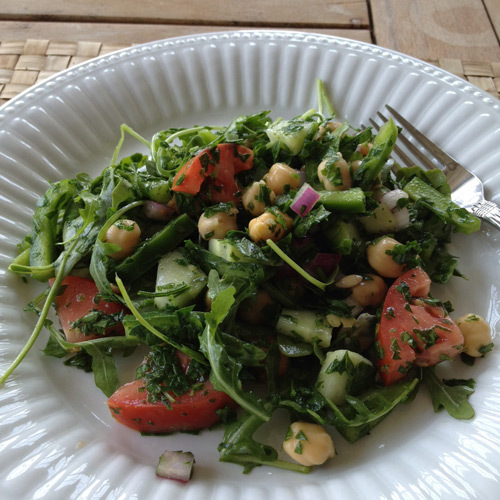 So I created this salad in the same vein (tons of parsley!) but going for a heartier meal. It uses my “go to” salad dressing, of which I never tire. 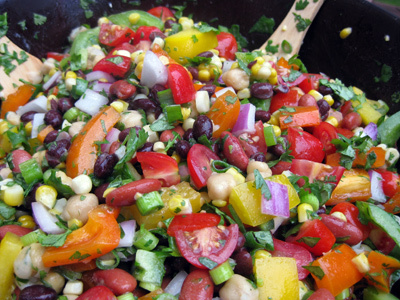 Combine all the salad ingredients in a large bowl, and then add the dressing. Taste for salt — the chickpeas might want a bit more salt than a typical green salad. One twist is to make the dressing first and pour over the chickpeas, letting them marinate before you add the other vegetables. To make the dressing, first squeeze the juice of a lemon into a bowl or mug (remove any seeds). 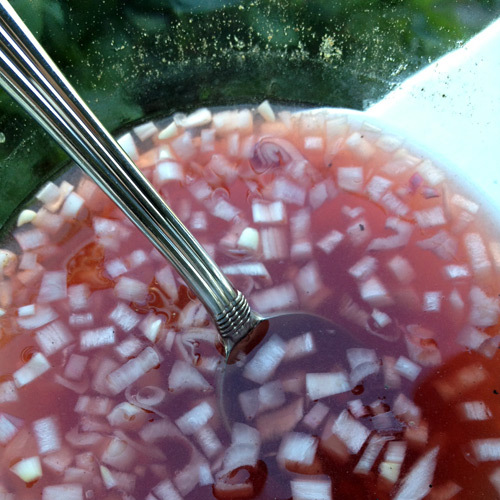 Add a dash of vinegar (about a teaspoon). Mince up a shallot (or the red onion) and add to the liquid and let sit for 10 minutes or so. With a fork, stir in a little olive oil (start with about a teaspoon). Whisk in a little mustard to taste (start with about 1/8 of a teaspoon). Adjust oil, mustard, and salt and pepper to taste. 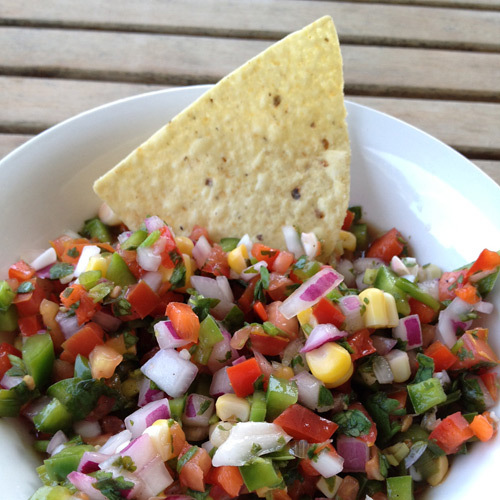 In summertime, there are few things I like more than fresh salsa and a good beer. 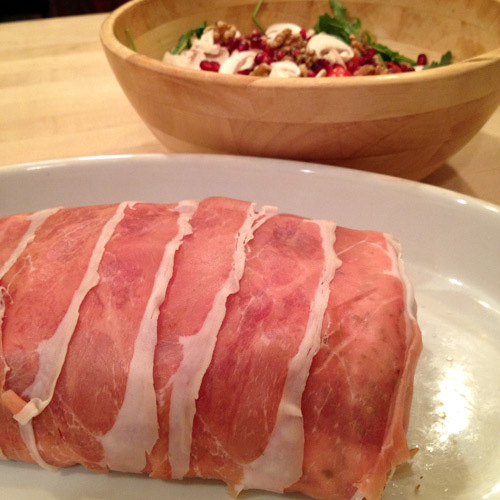 I make variations of this recipe, as evidenced in this blog’s history, and can never get enough of it. It goes great with chips, on toasted bread, on fish or hamburgers… or just straight up ! Chop it all up, toss in a bowl, squeeze the juice from two limes on top and add a dash of red wine vinegar (maybe half a teaspoon’s worth). Taste for the level of lime, and add salt and pepper to taste. Separate the eggs whites and yolks. Combine the yolks with the sugar and beat until very pale. Beat in 1 cup of bourbon, 1/2 cup of brandy and 1/2 cup of dark rum. Stir in the light cream and half of the heavy cream, a pinch of ground cloves and two big pinches of ground nutmeg (about 1/4 tsp). Beat the rest of the heavy cream until stiff and fold in.